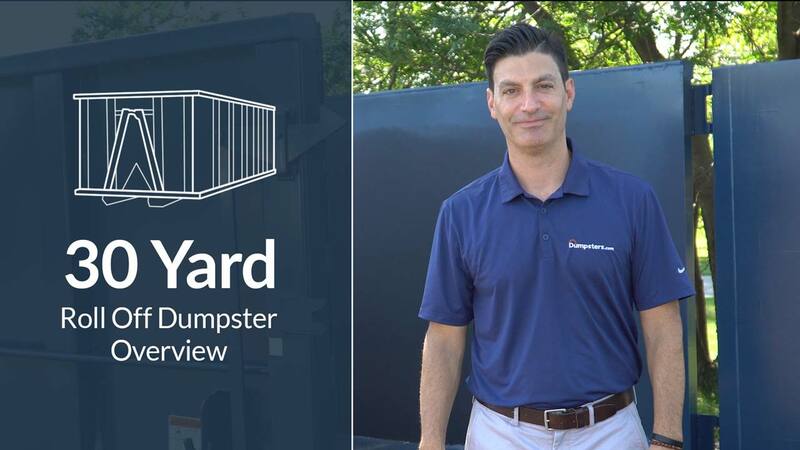 How Big Is a 30 Yard Dumpster? The typical dimensions of a 30 yard dumpster are 20 feet long, 8 feet wide and 5.25 feet high. A container this size holds 30 cubic yards of debris, which is the equivalent of about 180 13-gallon trash bags. A 30 yard dumpster generally has a weight limit of 3.5-5 tons (7,000-10,000 pounds). 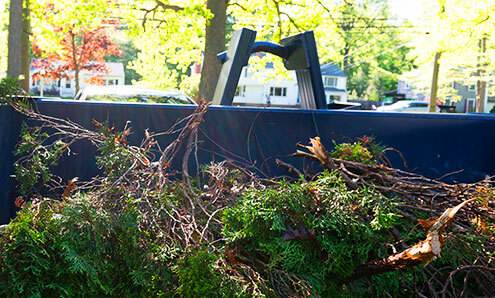 Disposal costs for this amount of debris are included in our flat-rate price. For reference, an average couch weighs about 170 pounds, so keep in mind that the weight of your debris can add up fast. What Does a 30 Yard Dumpster Cost? The average price of a 30 yard dumpster is between $310 and $713. Our rates are all-inclusive, covering delivery, pickup, taxes and disposal up to your container’s weight limit. But keep in mind that exact price of a 30 yard container will depend on your location and the type of debris you’re throwing out. One of our biggest sizes, a 30 yard bin suits all sorts of larger projects. 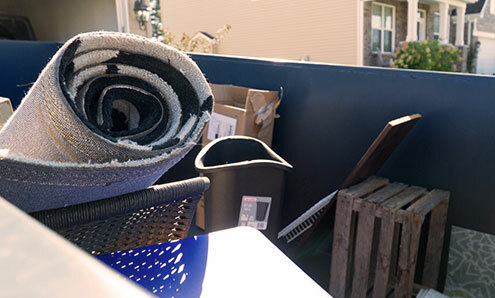 Whether you’re flipping a property or planning an extensive remodel for your own home, a 30 yard roll off container is a simple waste removal solution for homeowners and contractors. Is a 30 Yard Dumpster Right for Your Project? Handling debris from home construction and demolition. Renovating a large kitchen and bathroom. Decluttering a basement and attic. Getting rid of brush and shrubs. Please note that heavy debris is not accepted in a 30 yard dumpster rental. Not Sure a 30 Yard Dumpster Is Right for You? While a 30 yard dumpster is a versatile waste removal option, a different size may fit your project even better. 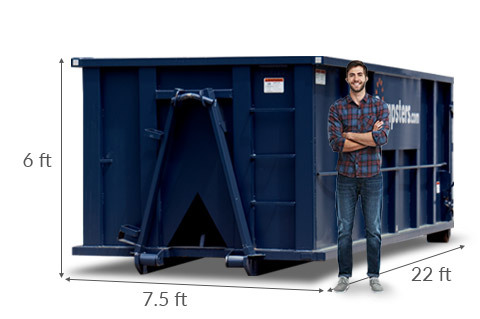 Estimate the appropriate size using our [dumpster weight calculator](https://www.dumpsters.com/resources/dumpster-weight-calculator) or give us a call at [844-444-3867](tel:+1-844-444-3867) to get advice from our team. Remember that you’ll need 60 feet of space leading to the spot you want the dumpster dropped off. Keep in mind that you’ll need a permit for street placement. The delivery truck needs about 23 feet of vertical space to raise and place the container. And make sure there are no obstacles blocking the drop spot. Don't forget to call to schedule pickup on or before the last day of your rental period. Make sure no locked gates or vehicles are blocking the dumpster. 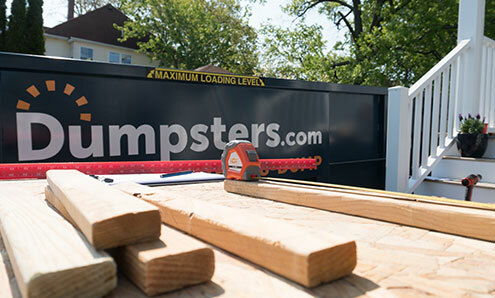 After your 30 yard dumpster order is placed, one of our team members will send you a detailed email with what to expect, a copy of your invoice and a list of prohibited items to avoid placing in your rental. If you have any questions along the way, just give our team a call.